In case you missed the news, we now have a brick & mortar Palm Springs Style shop, located at The Shops at Thirteen Forty Five (1345 N. Palm Canyon Drive) in the Uptown Design District of Palm Springs! And when you’re not in Palm Springs, you can also shop online at PSStheshop.com! There is a lot more available in the Palm Springs shop right now, but we’re adding to the online shop daily. 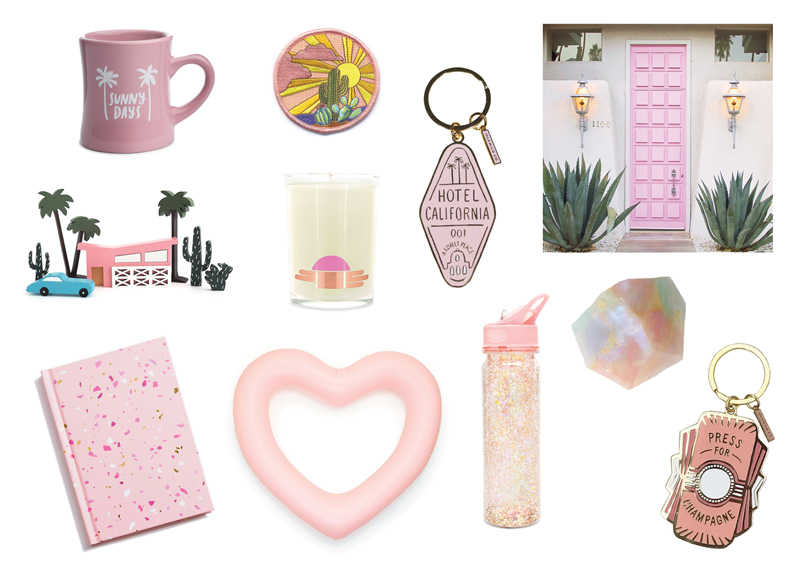 With Valentine’s Day less than two weeks away, we’ve picked some gift ideas from the shop — great for giving to others or just treating yourself! Into experiences over things? Might we suggest a Palm Springs Modernism Week adventure? 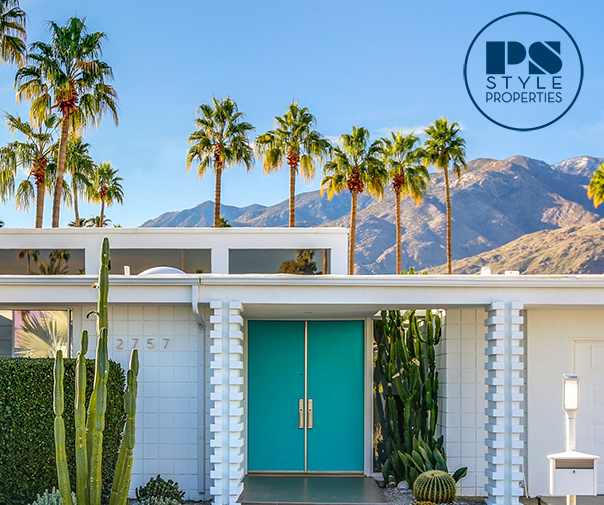 Modernism Week is February 15 – 25 this year, and our Palm Springs Door Door event with Dunn-Edwards Paints and the Saguaro Palm Springs is back for a second year, with favorites like “That Pink Door” (shown above) and lots of new colorful doors!